celebration at the Dungeness River Audubon Center, April 12-14, 2019.
science at the University of Washington and a noted author. Olympic Peninsula …you just might go home with a new bird for your life list! 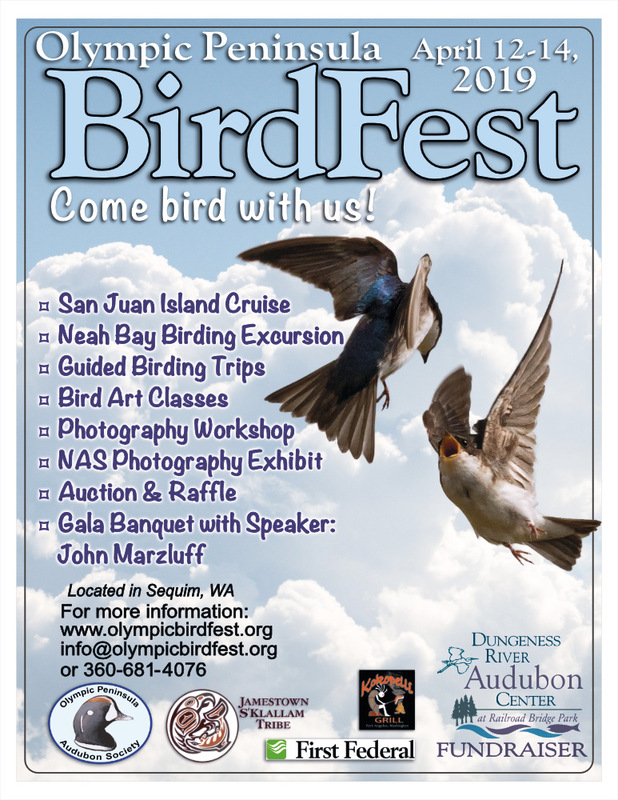 Check out the offerings by going online (www.olympicbirdfest.org). Islands, and more. Stay at the historic Roche Harbor Resort.